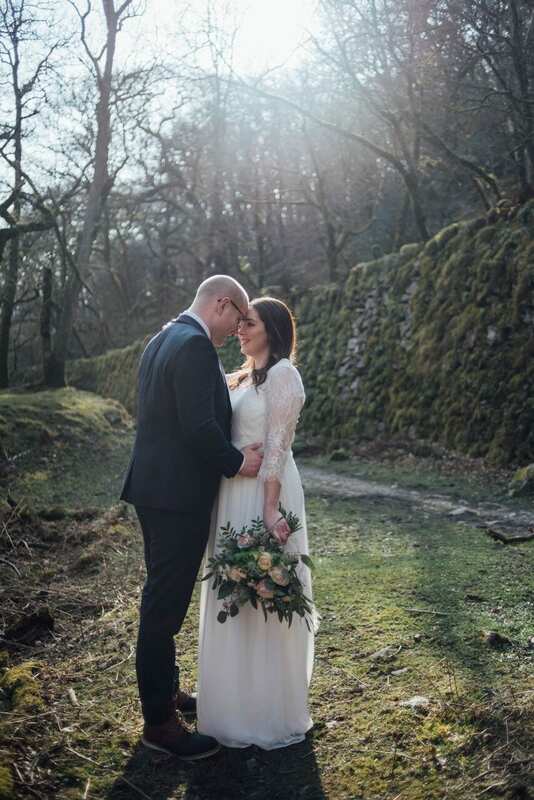 Back in February, Laura & Harry joined us for their gorgeously intimate elopement wedding. They opted for having just the two of them at their elopement, something we see quite often. Personally, I love the romance and the intimacy of these types of weddings. And, as I have just uploaded their wedding onto our real elopements page, I thought I’d do a little blog post too! I say there were only two, there was actually three (if you count Laura’s beautiful bump, that is!). With a baby on the way, the last thing you need is the stress of organising a wedding. Cue an elopement wedding at Ever After! 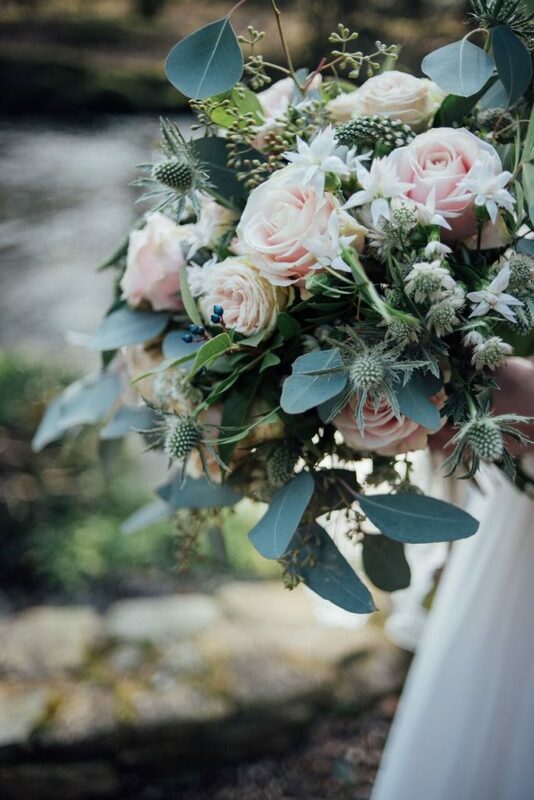 As you probably already know, the flowers, photography, cake, styling, 3-course meal, and a bottle of bubbles are all included in the elopement wedding package. Perfect for any couples who want to marry the one they love, but could do without the hassle of wedding planning. I love seeing how different each elopement wedding bouquet and cake turns out. Amanda & Harrie are masters of their trades, and we’re super lucky to have them as part of our elopement team. The Ever After team also focuses on styling to co-ordinate with the couple’s wedding colours and overall theme. 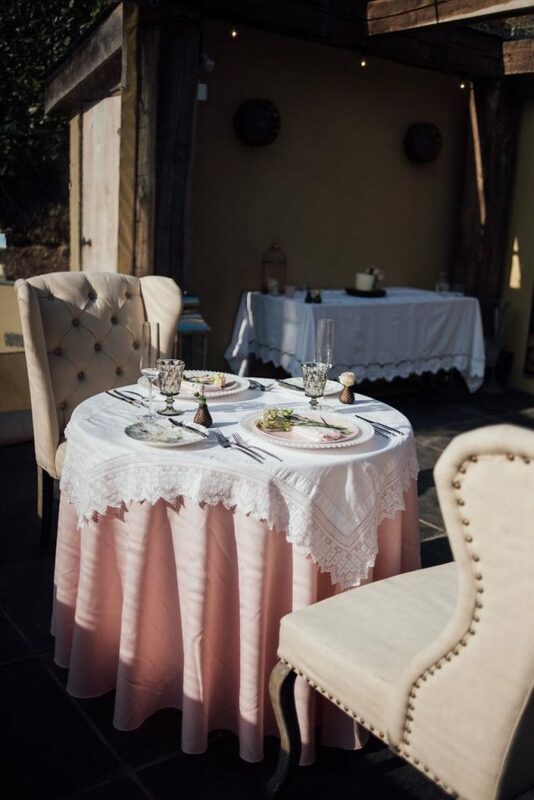 Laura & Harry had ivory and pale pinks as their wedding colours, which we incorporated into their wedding breakfast table-scape. Elopement wedding photos are so romantic. 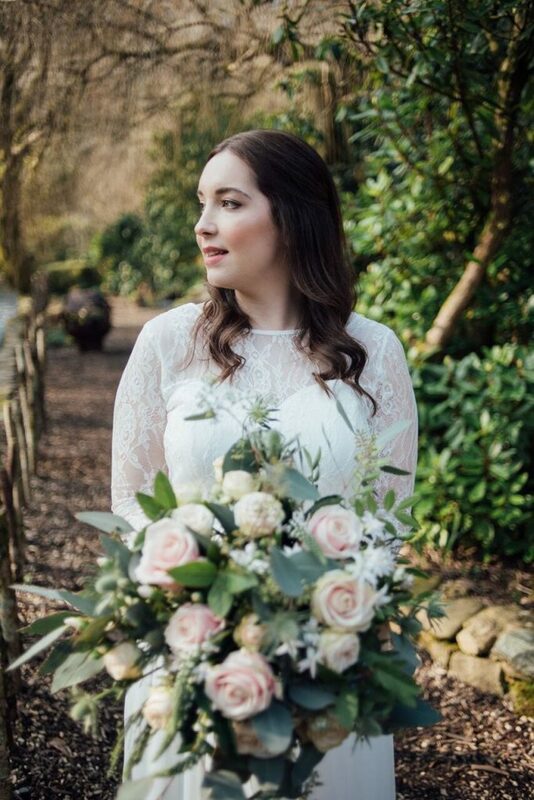 Amber from Liberty Pearl took Laura & Harry’s wedding photos and they are fab. 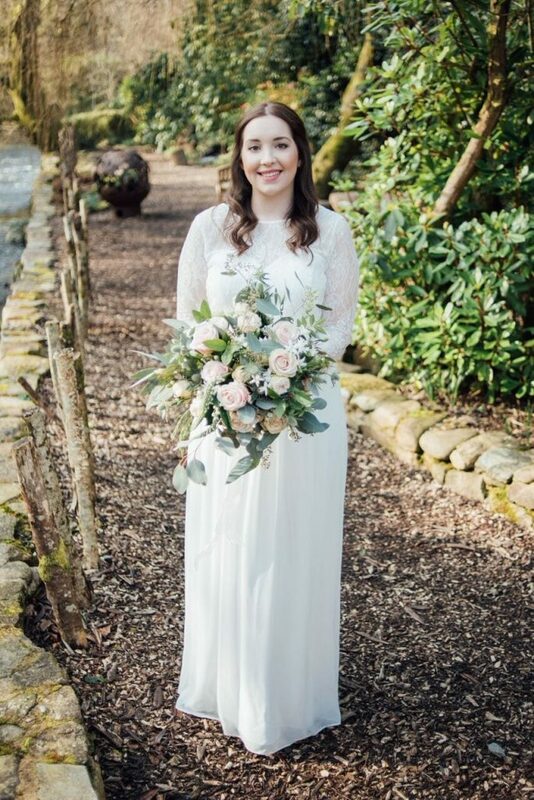 There are more stunning photos from Laura & Harry’s wedding on their real elopement page.